Oceaneering’s global ROV business. 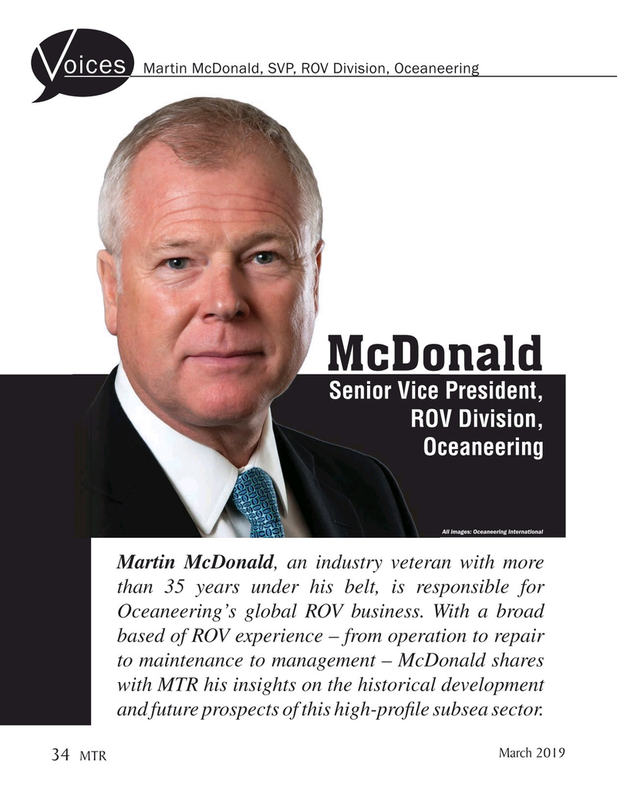 With a broad based of ROV experience – from operation to repair to maintenance to management – McDonald shares with MTR his insights on the historical development and future prospects of this high-pro? le subsea sector.